Initially this hostel was run by a the Benedictine mothers who are in the monastery and lately was run by an NGO. Now, it starts a new stage under a new management from March 20th. 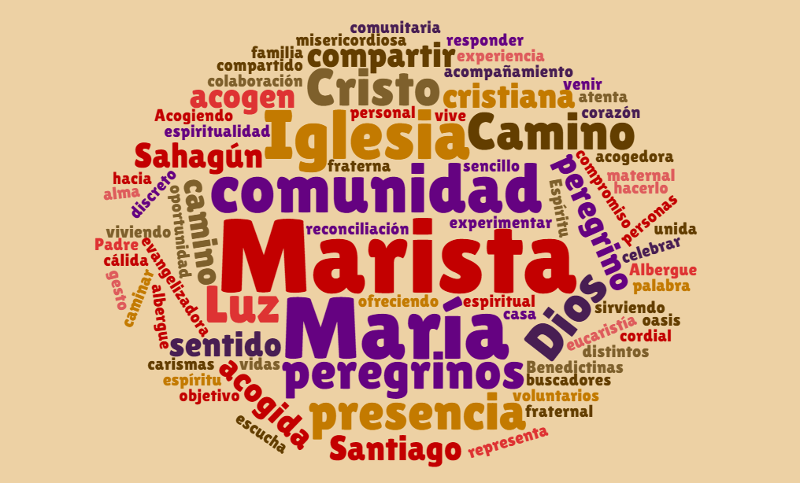 Marist fathers will welcome the pilgrimsthat would like to stop in Sahagún. Marist Fathers are a religious congregation born in France in 1836. We are fathers and brothers whose charism is to be Mary’s presence in the world. We are called to work for the Church, but putting in action the style and virtues of Jesus’ mother, that is, through humility, simplicity, compassion, service, prayer and listening to others. That is why we are called Society of Mary (our official name). This new project in the St. James’ Way will allow us to welcome simply and joyfully all the pilgrims who are on their way to the tumb of the Apostle. We try to do a open, warm and generous welcoming so that everyone who come into our hostel feels as if Mary herself welcomed him/her or entered the house of Nazareth. If you are doing the Camino and you have doubts or you need to talk about what you are living and experiencing, do not hesitate to approach and talk to us, we are here for that. If you are intereste in our charism or our mission, you can visit our official web site here.